While Elvis Presley’s Graceland is undoubtedly the world’s most famous celebrity home, it was never known for its outstanding beauty. If it is beauty or luxury that you are interested in, the following celebrity homes are the most unique ones in existence. 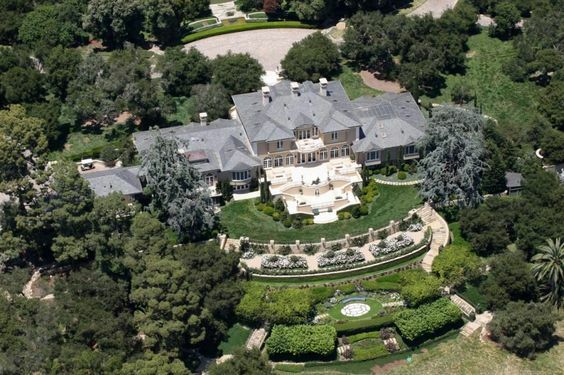 Oprah’s 42-acre estate in California has a 23,000 square-foot home with 6 bedrooms and more than a dozen bathrooms. The highlight of the estate, though, is its meticulous landscaping. There is no other green space in all of Santa Barbara that’s larger or more painstakingly kept. Escape from New York star Kurt Russell and actress Goldie Hahn now live in Vancouver to be with their son, who is an ice hockey player. 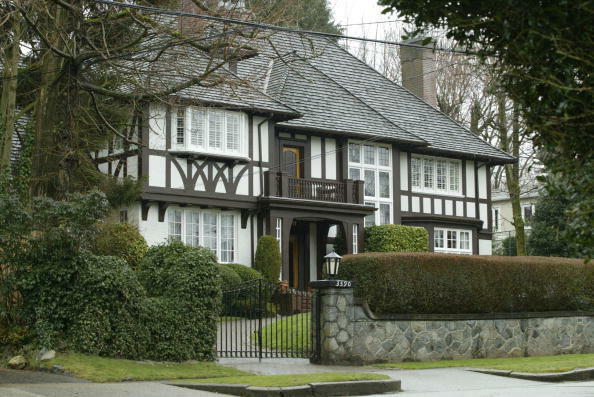 Their Vancouver home is in the Shaughnessy neighborhood and is worth more than $5 million. The beautiful, Tudor-style home is an all-classical design, with oak-paneled walls. Wiltshire, in England, is home to Stonehenge. As might be expected of a district with such history, Wiltshire’s homes have a great classical quality. 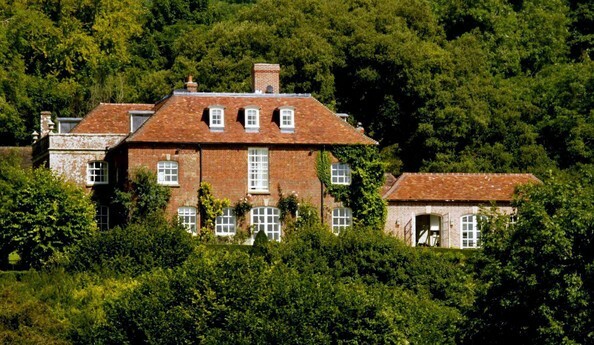 In 2001, Madonna bought Ashcombe, an antique, 1200-acre property here, close to rockstar Sting’s estate. Ashcombe is set in its own valley and offers privacy that is hard to beat. Madonna has said in interviews that she has learned to ride horses, hunt and fish in her time on the estate. Close to the Swiss-Italian border near Milan is the beautiful lakeside town of Laglio. This is the location George Clooney has his home in. 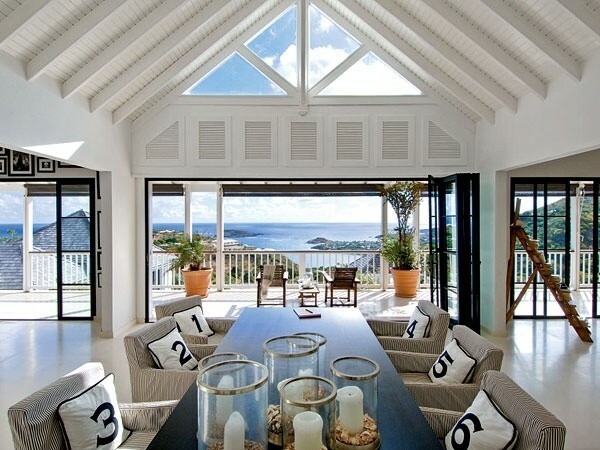 He is in good company too – other celebrities often choose the location to either buy homes in or to vacation in. Donatella Versace, Avril Lavigne and Michael Douglas have connections to the area. George Clooney actually had scenes for Ocean’s 12 shot in his villa, which features classical Italian architecture and is right on the Como Lake. 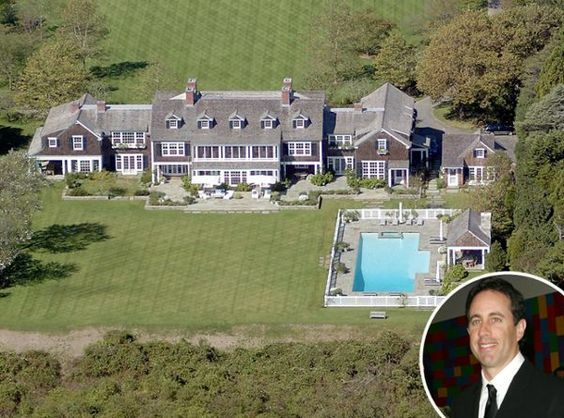 New York native that Jerry Seinfeld is, his palatial home had to be in his home state. His $32 million East Hampton estate is a 2-hour drive from Brooklyn, where he was born. He bought it from Billy Joel in the year 2000. This spectacular waterfront estate comes with beautiful, artificial landscaping with rolling hills and forests. The home itself has 13 bathrooms and 13 fireplaces. Reese Witherspoon has classical tastes. Her home in Ojai features ancient, wooden-beamed ceilings, interior balconies and vast fireplaces. Her choices of decoration include 19th century Swedish trestle tables, wrought iron stair railings and vintage Danish pottery. 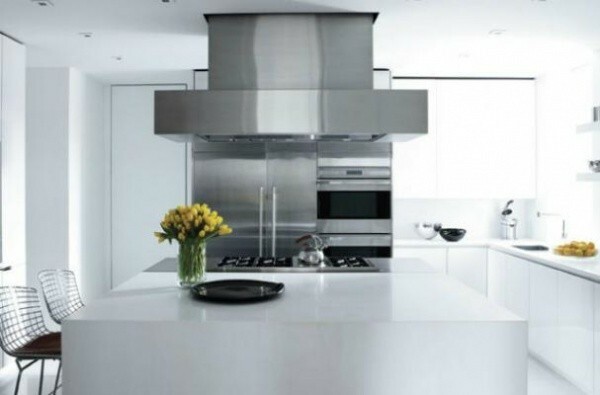 John Mayer’s New York City apartment was decorated by Armani. 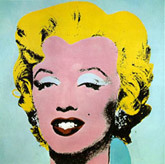 Themed in white, all over, the apartment features hand-knotted silk carpets, velvet furniture and expensive Andy Warhols and Benjamin Moores on the walls. Meg Ryan’s home in Martha’s Vineyard overlooks the Atlantic. The rustic all-oak construction impressively blends the old-fashioned with the sophisticated. 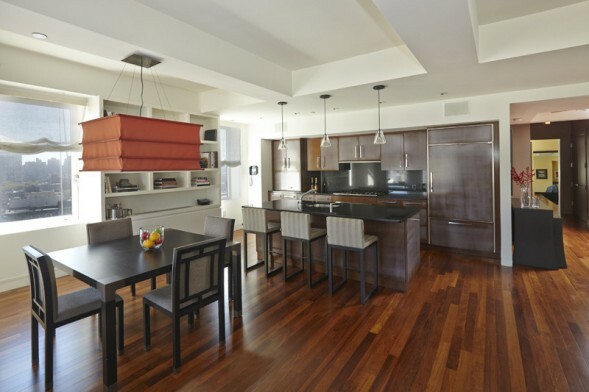 The kitchen features a Viking range and modern lighting, but also has ancient, oak counters. The bathroom has a beautiful antique tub made of earthenware but features glass windows all around. The actress who famously played the rich and spoiled interior decorator’s assistant Karen Walker in the hit sitcom Will and Grace, has a few design ideas of her own. 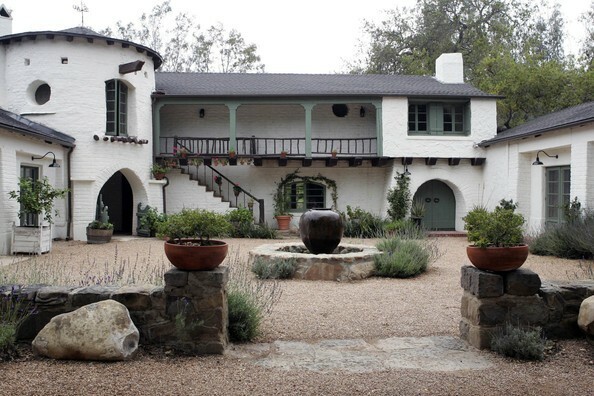 Just like Meg Ryan, she favors blending the antique with the modern. While the architecture of her home on Hollywood Hills itself has a crisp, modern design, her pool is designed to a quaint, Italian theme. While her living room is decorated with classical furniture from India and China, her kitchen is done with Swedish minimalism. Ralph Lauren’s Manhattan apartment lives up to his reputation as a great designer. The entrance hall features polished hardwood floors and an all-white theme. It also has a Star Wars storm trooper – an original. The living room is a vast, carpeted space surrounded by hardwood floors and is furnished in carbon fiber chairs. The television stands on an easel, as if it were a painting. As might be expected of a fashion icon, many of the touches in his home are Ralph Lauren’s own creations. It takes more than a great deal of money to decorate beautifully. It takes an excellent personal sense of taste, too. Many of the articles of furniture used in the homes on this list come from Pottery Barn and other mass-market retailers. These celebrities simply know how to recognize beauty when they see it.